A spokesman for South Africa's department of environmental affairs told Guardian Australia that "extractive activities focused on shared stocks may have local implications" for shark species that may migrate thousands of miles from Australia to South Africa, a country that has used shark nets to protect swimmers since 1952. South Africa, like many other countries, is investigating several measures in a bid to protect bathers and surfers. Shark exclusion nets have had success; however their application is limited to less energetic coastlines, such as sheltered bays. 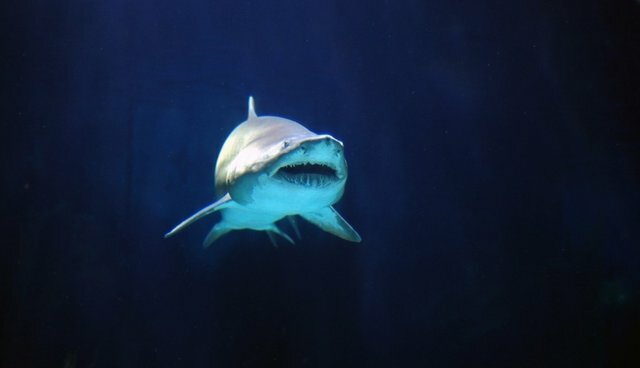 Electrical repellents in the form of the shark shield and now shark pod have been developed, and other agencies are working on developing a shark repellent cable. The application involves the creation of an electric field barrier around bathing areas. Since the cull began, about six smaller sharks have been caught, and the first trapped shark believed to be large enough was shot on Friday morning. The government received special permission to skirt environmental laws protecting endangered species for the cull, which is intended to decrease the number of fatal attacks on humans. Opponents of the policy like scuba divers, marine biologists, conservationists and even the family of a shark attack victim say that the the cull is barbaric and inhumane. There were 15 protest rallies against the program last week in Australia. In another Guardian piece, Australian politician and activist Bob Brown wrote that "the great white shark is a pale threat when compared with the planet's most colourful killer, modern Homo sapiens." Many more Australians die in road smashes each year (more than 1,000), and from drowning (more than 100) than from shark attacks and in both cases, Western Australia has the nation's biggest per capita toll. Worldwide, fewer than 100 humans are eaten by sharks each year though mosquitos kill millions, and it is estimated that we kill and eat up to 100m sharks of all species each year.